You are here: Home / Blog / Eva Grosman Blog / TEDxStormont is Back! TEDxStormont is back, taking place on Saturday, 17 September from 11am to 3pm at the MAC in Belfast’s Cathedral Quarter. Organised along the theme of “Imagine” and supported by lead sponsor Ulster Bank, the event will feature 12 leading thinkers, innovators, artists, philosophers and entertainers from the UK, Ireland and the United States representing such diverse fields as technology, entertainment, visual and performance art, design, politics, music and education, among others. Speakers will look forward and “Imagine” the kind of future we could have together as a society, here in Northern Ireland and beyond. The event will be compered by broadcaster William Crawley. 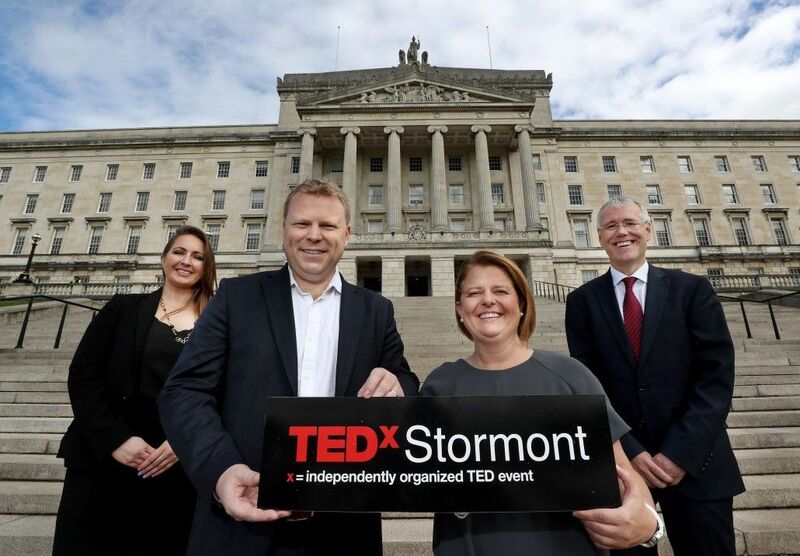 This will be the third time that TEDxStormont has taken place and due to popular demand has been moved out of Parliament Buildings at Stormont and will now take place at The MAC in Belfast city centre. Over 250 guests have signed up already with nearly 300 expected on the day. Some of the previous TEDxStormont speakers have included: Gary Lightbody of Snow Patrol; Christina Lamb, Foreign Correspondent for the Sunday Times; former First Minister Peter Robinson; deputy First Minister Martin McGuinness MLA; Kate Carroll widow of murdered Constable Stephen Carroll, Economy Minister Simon Hamilton MLA, Finance Minister Máirtín Ó Muilleoir MLA and Lord Alderdice. http://democracyandpeace.org/wp-content/uploads/2016/09/TEDxStormont-Launch-Photo-1.jpg 3498 5031 Eva Grosman http://democracyandpeace.org/wp-content/uploads/2018/08/logoDemocracy-1.png Eva Grosman2016-09-15 15:31:482016-09-15 15:31:48TEDxStormont is Back!